Bunches of birthday balloons float into the sky. 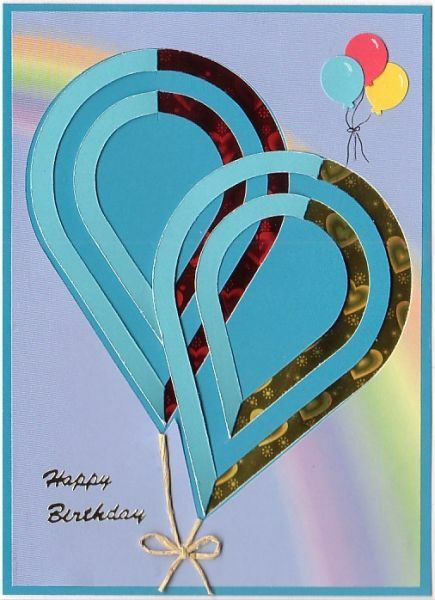 The large balloons on this card were made with the Coluzzle nested raindrop cutting template. Before mounting the rainbow paper on the double sided cardstock, I cut the two balloon shapes out of it. After mounting the rainbow paper, I cut only half way around the raindrop template on four of the channels, then I creased and folded the outside and inside strips. Underneath the cutouts, i added red and yellow holographic foil.